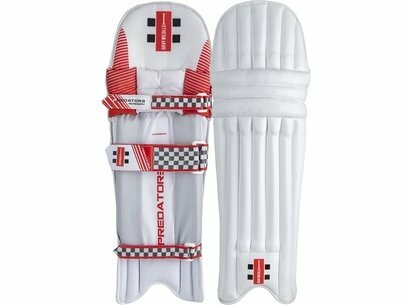 The 2018 Gray Nicolls Predator 3 Academy Batting Pads offers a traditional design with the ultimate impact protection level! A traditional Cashmillon knee offers a comfortable, secure fit. Diffuser Foam combined with a hard-wearing Nylon cover ensure the legguard is durable and comfortable. Traditional 1 inch knee and ankle straps combined with a 2.5 inch calf strap ensures the legguard is secure and comfortable with the best possible fit.